The study, which comes as a wake-up call for India, also revealed that the country witnessed 50% more pollution than China this year. Pollution plagues many parts of India in the winter months. 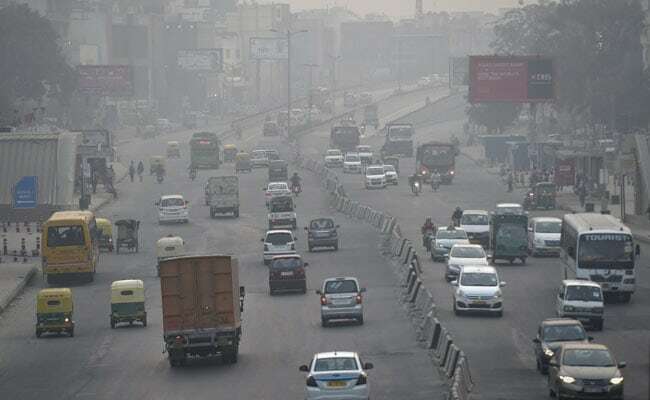 Three northern cities have beaten Delhi to become India's most polluted this year, with Bihar capital Patna emerging as the forerunner, a study released by IIT-Kanpur and Shakti Foundation shows. The other two cities occupying prominent positions on the list are Kanpur and Prime Minister Narendra Modi's constituency of Varanasi, both in BJP-ruled Uttar Pradesh. The study, which comes as a wake-up call for India, also revealed that the country witnessed 50% more pollution than China this year. It is based on data studied over a 45-day period through October and November last year. Although environmental issues are currently not grabbing headlines, environmentalists believe that greater conversation could even turn it into an election issue. 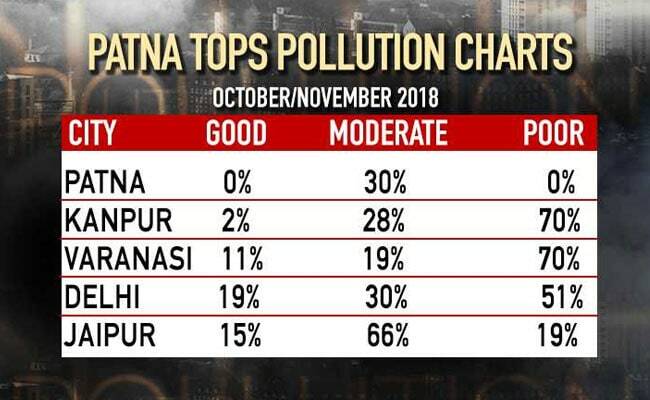 The study showed that Patna, Kanpur and Varanasi suffered from poor or severe air quality over 31 days between October and November, with particulate matter (PM) 2.5 levels hitting 170 micrograms per cubic metre and above. PM 2.5 particles reduce visibility and cause serious health issues in the general populace, an issue that the government has been unsuccessfully trying to address for several years now. Lawmakers blamed the phenomenon on the winter. "We have got the stats, and are worried about Patna. We have made an action plan for the capital city, and are trying to implement it. Brick kilns that do not conform to our norms have been banned. We have asked builders to cover structures under construction to ensure that the air is not further polluted, and asked for roads to be cleaned regularly," said Bihar Environment Minister Sushil Modi. Mr Modi also cited the location of the Ganga near the Bihar capital as a reason for the city failing to achieve the required environmental standards. "Cities situated along rivers are usually the most polluted. There is a big mound near Patna, and when wind blows, the air brings in a lot of dust. This happens primarily in the winter," he said. The study places Delhi at number 4 on the list of most polluted cities. Dr S Tripathi of IIT Kanpur said China seemed to be doing much better than India as far as curbing pollution was concerned. "There are several sources of pollution in India, such as household fumes, solid fuel burning, power plant emissions and trash burning, which have turned out to be major contributors. We need to do something about this. It is a matter of great concern," he said. International climate experts also echo similar concerns. "India should see the connection between pollution, climate change and health. Pollution is a particularly big problem in its cities. Secondly, they need to look at the long-term development pathway, and figure out how India can be turned into a zero carbon emitter in the future," said European Climate Foundation chief Executive officer Laurence Tubiana. Ms Tubiana also said that India can no longer afford to treat pollution and climate action as secondary topics in the prevailing political discourse. "You have to see the health issues. This has to be part of the election debate, alongside employment and poverty reduction," she said.